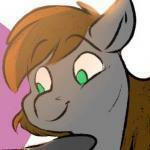 About Myself: Hi, looking to talk with a mod about advertising on canterlot. How I found Canterlot.com: google How I became a fan of MLP:FiM: tv My favourite main cast pony/s: Rainbow Dash Hi, looking to talk with a mod about advertising on canterlot. About Myself: message me to find out more How I found Canterlot.com: school How I became a fan of MLP:FiM: unknown My favourite main cast pony/s: AppleJack,Fluttershy,Miss Rarity,Rainbow Dash,Twilight Sparkle,Pinkamina Diane Pie lols wassup ppl. im new here nd i love mlpfim. if i have the time ill make my own ponies. Here's a short question: Is there any bronies attending OU (University of Oklahoma) this year? Do you ever think there will ever be any conventions or meet ups in Georgia or Tennessee so I can go to one? I've been a brony since July 09, 2011. I didn't tell my friend Josh Thomas or my parents until the last week of August. A few days later Josh told me he liked the show and considered himself a brony. He was one somewhere between the day that Season 2 Episode 6 The Cutie Pox up until when I invited him to watch Season 2 Episode 9 Sweet and Elite. On that day he told me he was no longer interested in the show but since then we still talk and make jokes about the show and fandom and he's even seen all twenty six episodes from Season 1 and all episodes from Season 2 except for Baby Cakes, Super Speedy Cider Squeezy 6000, Read it and Weep, It's About Time and Ponyville Confidential as well as any fan made videos or pmvs that I show him when I invite him over to spend the weekend to watch t.v. and play video games. Anyway I was wondering does anybody here have a similar friend or friends like my friend Josh or is my friend's situation weird and almost unheard of? I'm just curious. Hi I'm Brianna I Love Minecraft, Mlp, & Dubstep I Loved Mlp Since Generation 3.0 Except 3.5 ! Please Introduce Yourself! THANKS! I know that most bronies don't like previous generations of My Little Pony before Friendship is Magic, but are there any bronies or pegasisters out there or both that like previous generations of My Little Pony before Friendship is Magic a.k.a. G4? About Myself: Hi my name is Evan. I like to play video games, watch t.v. and surf the internet on my laptop. I want to be a member of the Canterlot. com community How I found Canterlot.com: I honestly can't remember how I found Canterlot.com How I became a fan of MLP:FiM: It all started when I saw the Equestria Girls music video on The Hub Channel. My favourite main cast pony/s: Rainbow Dash Is there any recently converted bronies out there? I'm just curious. MyLittlePonyTales posted a blog entry in Sometimes I just think about things. So sometimes, I think moreso recently, I've been thinking about the Brony fandom, as a whole. Not just Canterlot.com, but the entire fandom of Bronies. When I first started watching My Little Pony Friendship is Magic, I do so for nostalgia's sake. Heck, I even tried to 'convert' my friend... and I'm pretty sure that was before I had even heard of Bronies. I had just planned to watch this show alone, in my room, on YouTube. Not even watch a livestream, just wait for an episode to come out and watch it then. I may have even just watched at random whenever I remembered about the show. It was just going to be a secret hobby. I wasn't going to collect the toys. I wasn't going to wear the shirts. I was going to be just one of a few adults who watched the show. I never thought that I would find other fans. I never thought they would be guys. Last weekend, I sat in a room with around 30 guys and watched both finale episodes. I thought back on it a few days later, and was like... that is so weird. I sat on a couch in between two guys, with guys sitting in front of me on the floor, guys standing on the edges of the room... It's not that I would have been overly surprised to be sitting around with a few (girl) fans watching it... but guys? I've just been thinking recently how weird of a concept the Brony fandom actually is. I mean... it's literally like something that someone would dream, wake up and think how weird it was, then go on with life. I guess I just find it so odd that there are more guys that like it than girls. I mean, I can see a few guys getting into it. Heck, even half and half could seem normal. But majority? I'm just... like... what? And so, sometimes when I think about the Brony fandom, I feel like I should wake up, and find all the male fans just a dream. Oh internet. Oh you. Greetings bronies Some of you may remember me from a months ago when I asked for various opinions on things like "What does it mean to be a brony" and "what don't you like about bronies" well... about a month ago I finished my work, got my exam done, and now I have a masters degree. Go me. so... wanna see what I made? http://psitech.keens...loneComplex.pdf Its 116 pages, contains metric flankloads of internet psychology, observations of the effects of anonymity or pseudonym-use on the internet, as well as all the other fun things one might expect a master thesis on internet anthropology to contain. But you want a TL:DR, don't you? Sorry, can't do that. There's a reason this is 116 pages, not 3 pages. But, I do have a copy of the presentation video i made for my exam. it is 7 minutes long and explains fairly well what my work is about. You should quickly be able to see the connections between my theories on Standalone Compelx Communities and the bronies (1:45) But beyond that, what's this good for? Very simple: It explains how bronies work. It explains that there are no brony leaders, no brony membership lists, no 'true' way to be a brony - it explains how being a brony is, for the individual, a very subjective thing, while at the same time the entirety of the brony community can seem to be a deceptively uniform entity. I make roughly the same conclusion for the furry fandom and that of Anonymous. As always, I will be answering questions. Is it time to retire Brohoof? Today I found this clip where Derpy from "The Last RoundUp" was altered: http://www.youtube.com/watch?v=X2CRjPO73Dg At first i wonder if it was a fan edit but upon further research, the clip is indeed from a re-uploaded version of The Last Round Up on iTunes (so glad I grabbed the original version). In the new version she is no longer named and her voice is clearly redone to remove all ambiguity about her gender; she also loses some of the cross-eyes that she is iconicly so well known for. * Studio B had nothing to do with the change, and from what is said, Derpy will still be appearing "as is", at least for the rest of season 2. The compiled megathread on the latest on Derpy is here with all the relavent information. Personally I don't mind the clearly feminine new voice and if that was the only change, I wouldn't be disappointed at all. I am just bummed they removed her name and removed the "cross eye" look, especially after all the Easter Eggs with her eyes we the animators did over the last two seasons as a nod to the fandom. It should also be noted that we as the fandom are still pretty much in the dark on the whole thing. Neither Hasbro nor the Hub has made any official statement on the whole Derpy "issue", so sending mad letters to either would be simply counterproductive (so don't do it). Hopefully something will be officially said in the near future, because right now all we have are a million Internet rumors. *Although iTunes has been issued an updated episode, the The Friendship Express DVD still contains the original. I had this idea for a fanfic, though I'm pretty sure someone may have done a similar story already. Basically it involves all the crazy OC ponies (the recolors, neon, emo, etc) suddenly appear in Equestria and the Mane 6 have to find a way to send them back. One of the aspects of my story would involve a meeting with an emissary of basically the main contributors to the Brony community. My question is who would be the Mane 6 Bronies? I know I want Purple Tinker in there since she organized BroNYCon and is the biggest community organizer. I also wanted a fanfic author, an artist, someone in voice over, and whoever is best known. Thoughts? Ideas? Over the past few week's (Possibly month's) I've been working on a project. It is (as you could tell by the title) a MyLittlePony and Halo crossover fan-fiction. The first part is near completion but I still need to finish a lot of it off. I am guessing that it might be released near or after Christmas. It's proper name is "Halo: Ponie's To The End" and will be released on Google Document's. Is it becomes a success I will write another and possibly (attempt) do a animation. I might even create a second one if it goes well. But not containing the mane six, Possibly containing my Pony and a friend's Pony. If you'll be interested to have your Pony in the story please reply. Just as long as you don't mind reading about them getting... Well killed. Also if you are willing to help me by creating a Image for the cover I will be greatful and include your Pony in Part 2. I would do it myself if I had a better computer, But unfortunatly I have to wait. So if you're interested the feel free to follow or even ask questions about it.